Thomas & Betts Steel City® Insulated grounding bushing of trade size 1-1/2-inches, is suitable for use with rigid and IMC conduits. 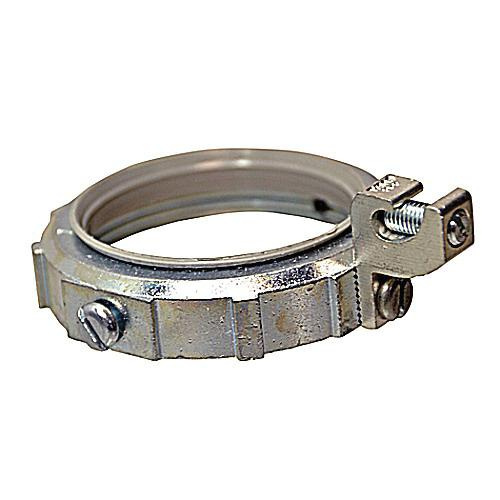 This bushing features malleable iron construction and zinc-plated finish. It measures 5/8-Inch ID x 2-13/16-Inch OD. It withstands temperature range of 105 deg C. Bushing is UL listed.